When you choose David Weekley Homes, you will experience world-class Customer Service. That’s why we offer you assistance with all the services required to close a home, including financing options. When it comes to acquiring your new home loan, our preferred lender can ease the mortgage process. 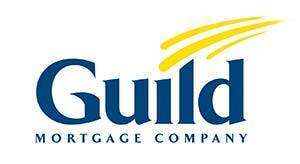 Our preferred lenders in Denver are Home Mortgage Alliance and Guild Mortgage Company. Their mortgage specialists, along with your David Weekley Homes Team, will guide you through your new home financing. The combined knowledge of our Teams means a more convenient and less intimidating experience. There are numerous advantages to using these lenders to secure your mortgage. Loan specialists at Home Mortgage Alliance and Guild Mortgage Company are dedicated to new home financing. Plus, our relationships with them means open lines of communication, an important aspect to advance the loan process and keep you informed.